Trucking accidents are the most deadly accidents on the road. Thankfully, there are federal laws designed to protect both the truck driver as well as everyone else in smaller cars and trucks. For example, a trucker is required to get adequate rest before they get in their 80,000 pound vehicle and drive it past other drivers going 70 mph down the highway. For contrast, a compact car only weighs around 2,979 lbs. Truly, these semi trucks are a major reason why we have so many things available to us for purchase, so they should be respected as a necessary part of our everyday life. Unfortunately, not everyone follows safety laws, and that puts others in danger. 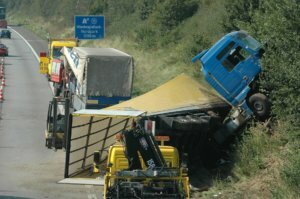 Other times, issues such as poor truck maintenance are the cause of serious trucking accidents. The most recent research about highway safety is from 2016, and the Insurance Institute for Highway Safety Highway Loss Data Institute has reported 3,986 people died in trucking accidents. Usually the passenger car driver is the one that dies, but sometimes it is the truck driver. Motorcyclists, cyclists, and pedestrians are almost certainly going to face serious injury if not death. 6% of fatal truck accidents were due to distracted driving on behalf of the truck driver, and 16% of the distraction was due to cell phone use. When driving around a truck, you should be aware that trucks weigh close to 30 times as much as a regular vehicle and they sit high enough off the ground for cars to be shoved underneath them in an accident. A semi truck needs 20-40% more space to stop due to its massive weight and size. If roads are slippery or if the truck has poorly maintained brakes, it will need even further room to come to a full stop. A number of surveys have revealed that a large number of truckers are either pushing themselves into driving while they are exhausted, or their employers are bending legal requirements to push their drivers longer than the federal limit of 11 hours in a single stretch. Truck drivers are often excellent drivers, but no passenger driver is able to know who they are really driving next to. Be mindful of these things and you will significantly decrease your chances of being part of a tragic trucking accident. What is taken into consideration when determining settlement? Truck accidents tend to be more complicated than general accidents that involve two non-commercial vehicles. In addition to the usual arguments surrounding a car accident such as who was paying attention and who was putting others in danger, other arguments come into play as well. Issues concerning zoning might come up. The company may have to prove that the semi was properly maintained. For example, experts might need to be brought in to verify that the brake speed was in good working order. Sometimes one company will turn and blame another company. 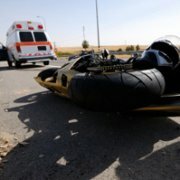 There are a variety of factors that come into play when a truck driver and trucking company are in a legal battle with a passenger vehicle, and this is why the injured individual would greatly benefit from having a skilled lawyer on their side to help parse through all of the arguments and find out what really happened. The results of these trucking accidents can be devastating, and the injury or death that results from them can hurt many dependents and loved ones. Trucking companies are typically not new to trucking accident lawsuits. They have their seasoned lawyers ready to fight and they are eager to settle for as little as possible. Regardless, if you have a qualified lawyer working for you, it is possible to hold them accountable and get a fair settlement that can cover medical costs, pain and suffering, and possibly even force a trucking company to improve poor practices so that they put less people in danger. Severe cases have won settlements of over $4 million. Reach out today and talk with a personal injury attorney who is familiar with truck accidents. 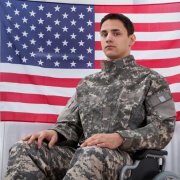 Usually, the lawyer will not charge attorney fees for injury cases. Instead, they get their pay through contingency, meaning they get paid if they help you win your case. Find the right lawyer near you now. 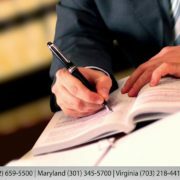 How Can a Domestic Violence Victim Attorney Help? Motorcycle Helmets, Are They Really Necessary?